The number of jobs in computer animation continues to rise as an increasing number of industries begin to incorporate digital effects and animations. Given the diversity of applications for computer animation degrees, there is a wide range of specialization available to computer animation majors. This article will outline some potential career options for computer animation graduates, the salaries associated with those positions, and the academic paths which lead to them. There has never been a better time for international students working toward careers in computer animation. Work for computer animators can be found everywhere. Digital effects and animations are ubiquitous in film, television, advertising, and web content. However, the entertainment industry is not the only option for international students hoping to secure jobs in computer animation. For instance, forensic science and medicine are increasingly utilizing the skills of computer animators for reconstructions and modeling. Given the expansive growth of the field, careers in computer animation are more available than ever before. Additionally, the benefits and starting salaries of most jobs in computer animation continue to climb. It is no surprise, then, that more and more international students are taking advantage of this opportunity. This article will identify some potential careers in computer animation, provide salary information regarding those careers, and clarify which academic paths prepare graduates for which positions. A robust academic program will ensure international students are, at the very least, versed in all of the above tasks and more. However, many computer animation programs will have specializations or industry affiliations, offering their graduates the advantage when it comes to procuring certain roles in the workforce or employment with certain companies. Given the impressive starting salaries and ranges, as well as the enjoyable conditions under which computer animators work, it is no surprise that an increasing number of international students are pursuing careers in computer animation. 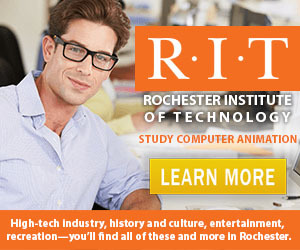 There have never been so many jobs across so many industries for people skilled in computer animation, and it has never been easier for international students to acquire the education, degree, and industry connections from an institution in the United States required to be successful in the continually growing field.